Do you like Endless War 7? Share it with your friends. 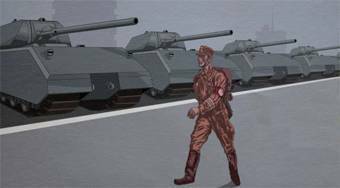 The game "Endless War 7" is already the seventh continuation of the great strategic shooting game from the period of WWII. In each mission, you must command your foot soldiers to destroy all tanks,s vehicles and buildings of the enemy army. You will control only one tank, all the other units will automatically fight alongside you.